Mistakes are only made by humans. When you make a mistake and take the step to beg apology and rectify to the most possible way you may also be granted a second chance in your life. 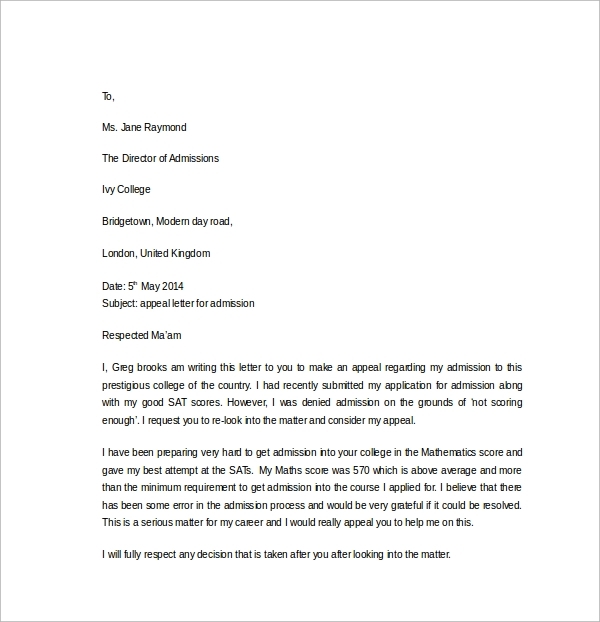 If you are expelled from a position due to some mistakes made by you an appeal letter can work for you very well in fetching back the position. 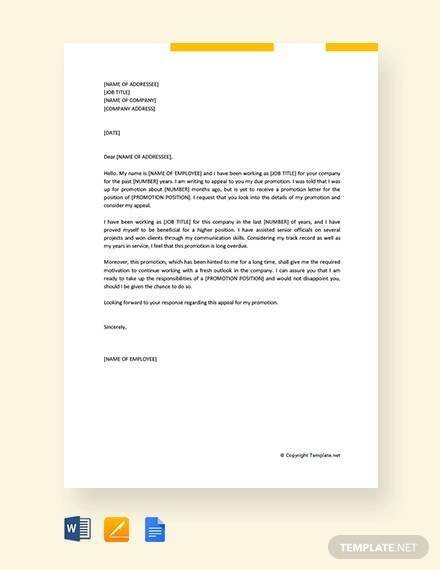 Here are few very useful and friendly appeal letter templates which can be easily downloaded and used for your purpose to seek apology for your unintended mistake. 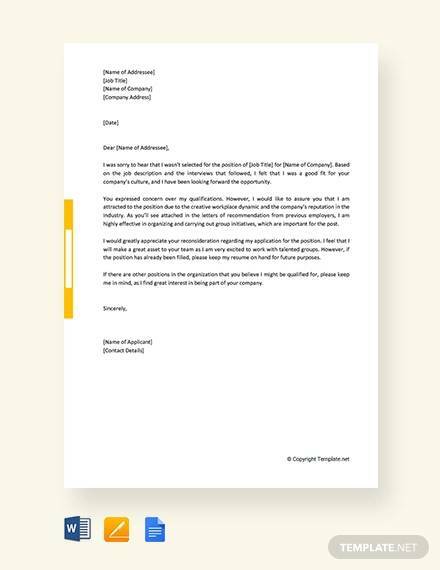 Here are some of the best designed appeal letter templates. You may also like Student Reference Letters. 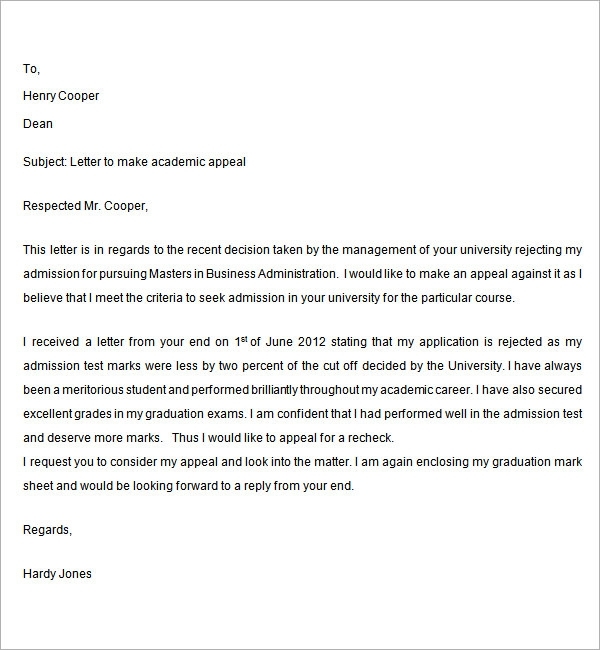 This appeal letter template guides you and gives you a plan how to write to your new college where you are seeking admission to your desired course. You have previously applied but rejected on merit basis. This format will help you write to re consider your candidature. 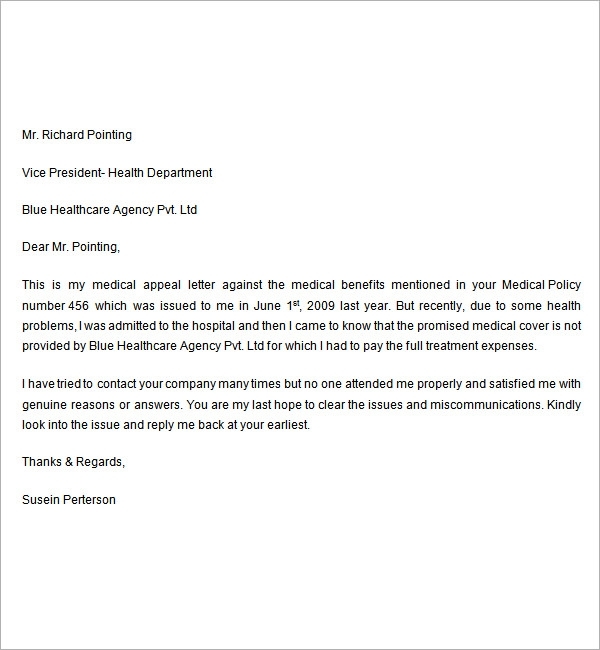 Here is a template available in our collection which may be of great help for you to claim back your promised medical benefits by your medical insurance company. A description of the situation given in this letter is sure to open the eyes of the insurance company regarding their inefficiency and become proactive regarding the repayment. 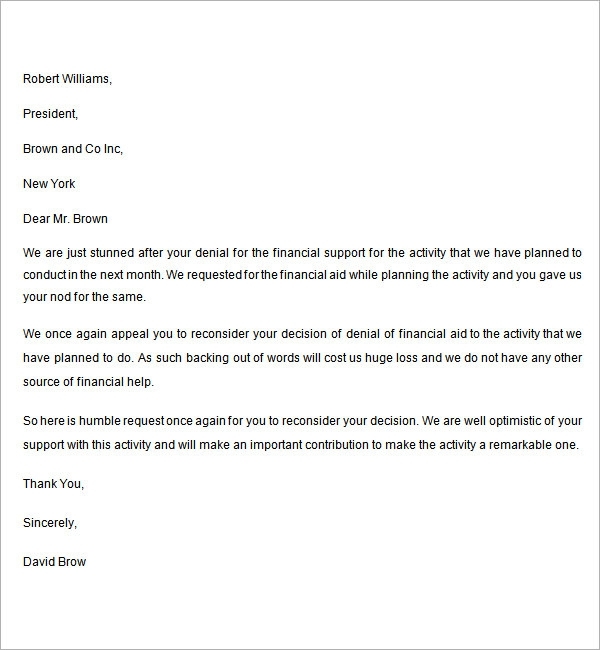 This very appeal letter template is very delicately written with proper use of sympathetic words to raise funds for treating an illness. It is the most apt format since it speaks about your current illness, current condition signifying why you are looking for a fundraising. You can download this and customize according to your purpose. What are The Purposes of An Appeal Letter? Showing your keen interest to join a college showcasing your hard work and high interest for that institute. Raising funds for any family member’s illness. Asking reason why to your insurance claim denial. Appealing for a due promotion in your workplace. 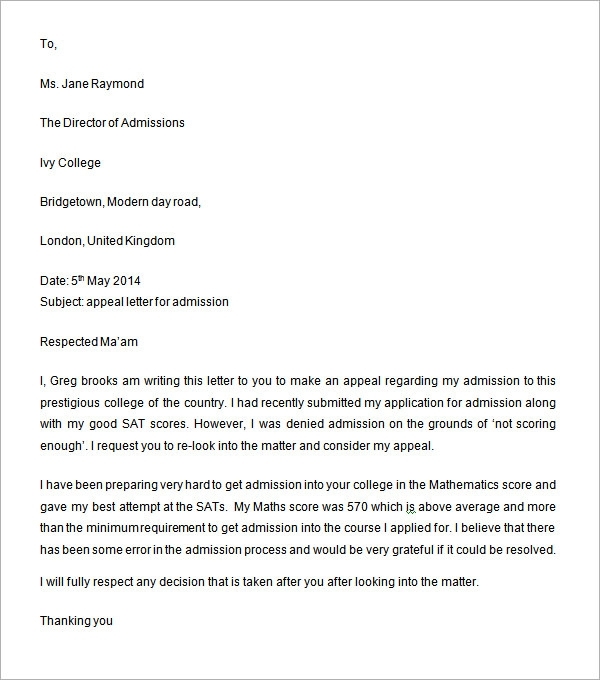 Appealing against an unjust rejection by a college selection committee. 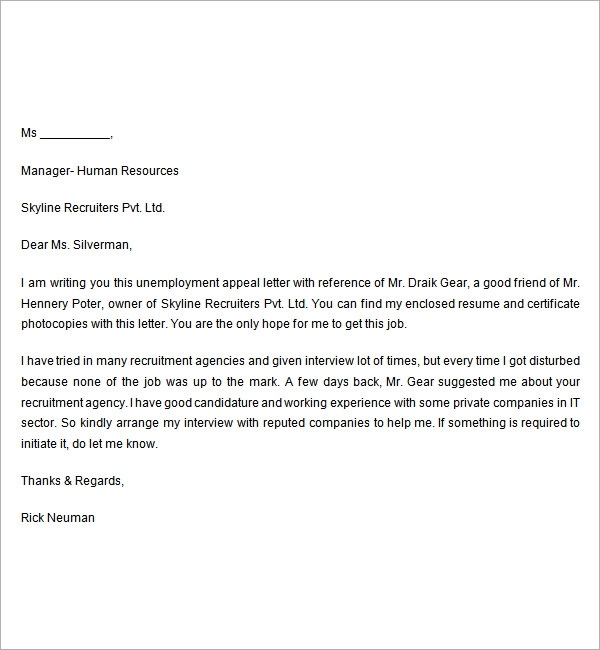 Requesting for employment consideration in a company referred to by somebody. Applying for financial aid after first rejection of it. How To Write And Appeal Letter? How appealing your appeal letter would be your chances to get a positive reply would be higher. 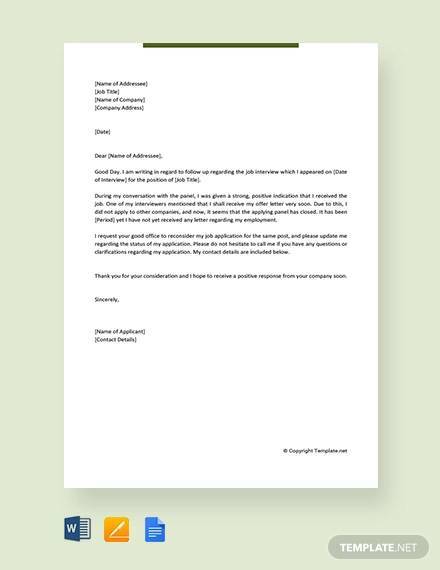 Here is a step by step guide of how to write a proper appeal letter. 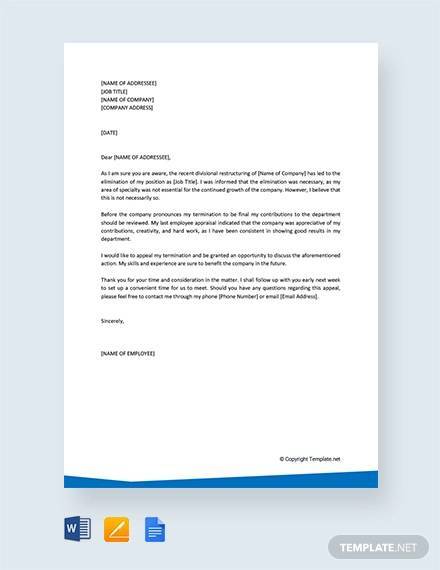 Try to maintain a letterhead to write such appeal letters. If you don’t have any, make your own. Include the date of writing the letter to make it appear more official. It should have an inside address which will say about your complete details. A reference line needs to be added as well starting with RE. Next come the Salutation which should be take absolute care of because often wrong salutation mars your image. Next is the body of the letter followed by the closing, signature block and notations respectively. Here are some expert tips to help you write a good and convincing Appeal letter. Opening statement should be a clear picture of the purpose. Do not dramatize but actualize the situation. Be specific and well documented. Stick to the point and avoid manipulating the reader. Be brief avoiding errors and maintain copies. The templates mentioned here in our collection are very easy to use and clear in depicting the idea. Still it is one’s own choice of words and writing style that is considered more powerful to solve the purpose of influencing an otherwise negative wind and making it blow in your favor.